I have an obsession with color, vibrant items, and dynamic shapes. I love bright, chunky, items that are fun and unique. I make and design the jewelry you see in this blog. You can visit my Etsy or Big Cartel shops to buy some new jewelry and support my small business: Andrea Fuentes Designs. I started this venture about a year ago and it has been a tough learning process, but very rewarding. 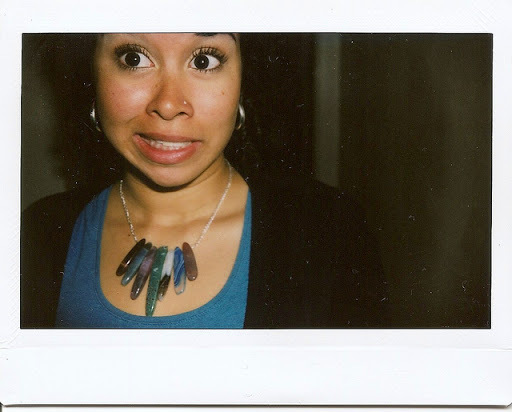 You can find more out a lot more about my small business adventure on my tumblr blog Andrea Fuentes Designs. There I share ideas behind new items, small business discoveries, and more. A new aspect of running my own business is creating style looks to help you find fun, colorful ways to combine the jewelry I design with affordable or fashionable items. Take a look! I would love to hear what you think about my designs. And don’t forget to leave me a comment!